Make it small, put the best camera in, price is not an issue. This prediction of the XE sounds like Apple is putting in all the expensive features that made the other X models a relative sales flop. I am not encouraged. Get your SE now at an affordable price, because if only half of these rumors are true, the next smallish phone will be as costly as an XR and almost as ugly. So sad that Apple can’t / won’t even try to please customers with simplicity. Very well spec’d, thank you! Totally agree with no OLED. If anything, the latest LCD tech is excellent and much brighter. OLED has a tendency of burn-in when stayed longer on a screen, and consumes more power which is detrimental to a smaller phone. Agree with no FaceID too. It’s an inconvenient novelty that works only for jacking up the price and creating a nice pair of horns. Besides, my image is copyrighted and only available in Holywood, so Apple has no use for it anyway. Apple, you have A LOT of people wanting a 4″ phone option. Why are ignoring this segment of buyers? There really is no excuse for this. I personally know over 10 people (myself being one) waiting for a new 4″ to BUY. If true, I’ll be in line to buy. 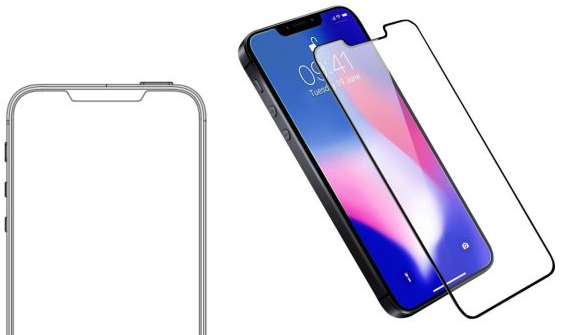 I bet it ends up being too narrow, like the X is for some people who were used to the Plus phones. I would rather they built an all-screen chassis around a screen the exact dimensions of my iPhone 8 screen. Instead I get the feeling will instead make current SE chassis have a full screen, ending up with a more narrow display than what I described above. Just a hunch..
No matter what it will make a lot of people happy! Sing me up for one of these. I like the convenience of a small screen and I do buy many apps for it. I have an iPad for games that need a big screen. So Apple is more likely to sell more products because those with a small iPhone will usually invest in an iPad to cover all bases. Plus I’m in front of a 27″ iMac for 8 hours at my job with another 27″ iMac at home, both totally tricked out—don’t need to pay for another big screen with a phone. Just need primarily function and convenience. Apple will get it’s money out of me in other ways than the small phone. I don’t want a big honking phone. Steve’s love of small stays alive after he’s gone!